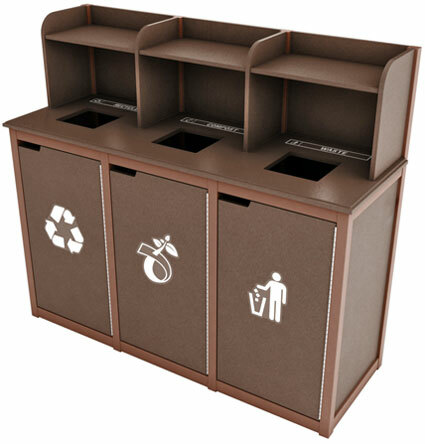 Waste and Recycling Cabinets Suitable For Indoor AND Outdoor Use. 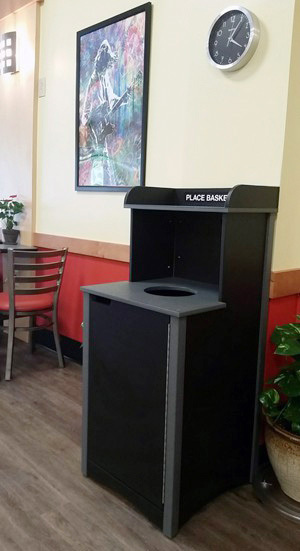 Manufactured from HDPE recycled plastic ( High Density Polyethylene ). The material is impervious to insects, moisture and mold. Hardware is Marine Grade. Top-of-the-line pigments and UV inhibitors are used to maintain color stability. 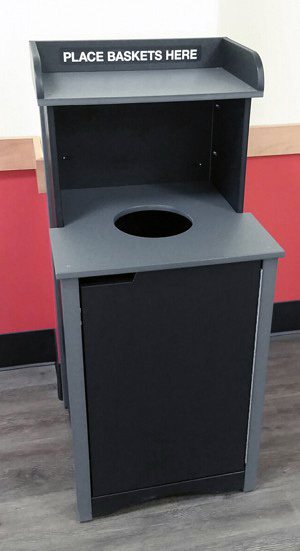 26 Gallon Rigid Plastic Liners Included. 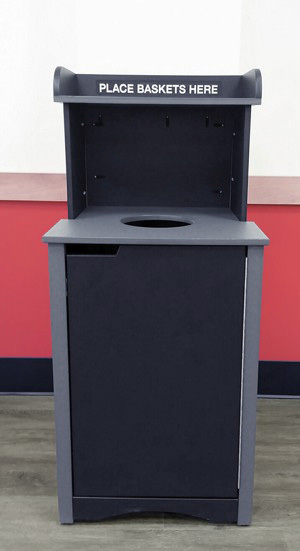 Available in Single, Double and Triple Outdoor Waste Receptacle Cabinet Configurations. Each Single Cabinet Module Is Approx. 21" Square.